St Mary's Rotakids celebrated their 5th Charter and were presented with a RIBI Presidential Citation! 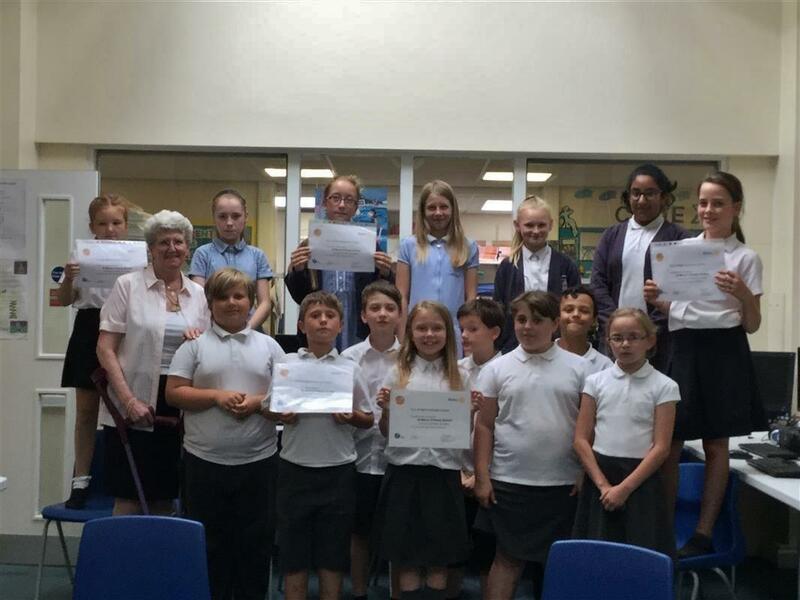 St Mary’s school Batley RotaKids were thrilled when Rotakids and Interact Officer, Pat Taylor, presented them with the RIBI Presidential Citation by on 5th July. This is the first photo.. The second photo shows them at their 5th Charter celebration with District Governor Robert Morphet, Assistant District Governor, Mike Gill, District Youth Service Chair Sndrew Wilson, and Rotakids Officer Pat Taylor. The third photo shows the President of St Mary's Rotakid cutting their cake.